On Tuesday, one of the highest-profile rituals in Washington will be occurring, and it might be the last, greatest chance for President Obama to make some waves. 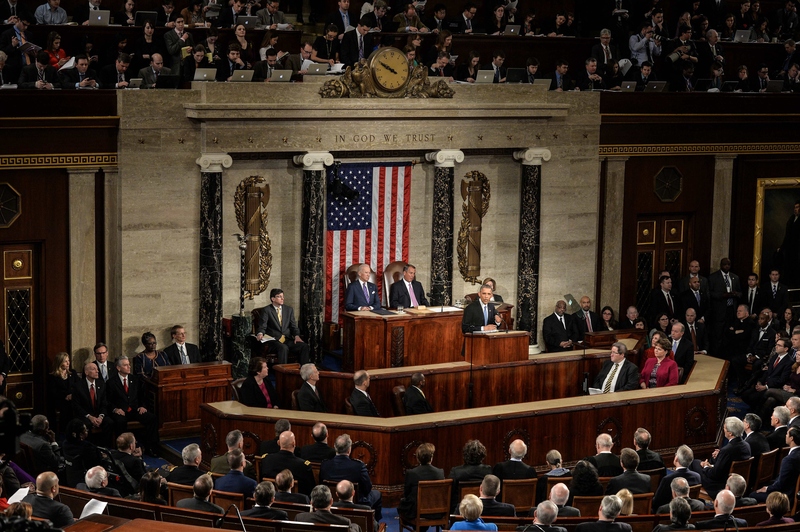 That's right, I'm talking about the 2016 State of the Union address, which is set to begin at 9 p.m. ET. But if you're the cord-cutting type, so to speak ― an ever-increasing percentage of millennials are turning their backs on cable ― you might need an online option to take it all in. So, how can you stream the State of the Union? Luckily, this isn't some kind of pay-to-watch media event. In fact, quite the contrary ― it's in the best interests of the Obama administration to get as many eyeballs on the speech as possible, so you know it'll be pretty easy to do so. Tuesday night will also be the final State of the Union of President Obama's two terms in office, so it'll definitely carry a sense of finality. So here's the easiest, most reliable method for watching the address online: Just load up the White House's official live event stream. During past events, the WhiteHouse.gov live feed has typically proven reliable and stable, so that's a phenomenal place to turn. In the event that the White House stream fails or is unavailable for any reason, you can also watch it live on C-SPAN's website. It remains to be seen how Obama will approach the big, primetime event, the last one he'll get as president. Based on recent precedent, and the fact that it's his last rodeo, so to speak, there are some things he'll almost certainly mention ― touting his administration's 7-year record so far, for example, and all the achievements it's ushered in. You'll likely hear an emphasis on health care access, the ongoing economic recovery, and especially his recent executive actions on gun control. It'll be especially interest to see whether he pushes for any new, major policy goals for his final year in office, as well, seeing as he's firmly entering his so-called "lame duck" status as an outgoing president. Of course, there will be more than one speech delivered on Tuesday night. With the State of the Union also comes the Republican responses to the State of the Union, those annual, often-awkward rebuttals that can boost opposition politicians into a prime position for more exposure, or relegate them to a punchline. Former Louisiana governor and ex-presidential candidate Bobby Jindal's 2009 response stands out as a memorable example of the latter, and although it didn't dim his star to nearly the same extent, Marco Rubio's response in 2013 drew chuckles over his unexpected mid-speech water break.This year, the official GOP response will be delivered by South Carolina governor Nikki Haley, more or less immediately following the end of Obama's remarks.